What is Apple News +? As common practice in the subscription world, the 1st month of Apple News+ is free. Once a user subscribes, the subscription is free for all family members. I never share any Apple services with my family members, so I am interested in how all that sharing with family members works and how they can avoid heavy scammers. Apple claimed that they used “on-device intelligence” to suggest articles based on readers’ behavior. That way, Apple doesn’t know what users read. Additionally, advertisers won’t know what users read either, or at least that’s what Apple claimed. Though the app allows browsing by alphabet and categories, some choices are not easy to find. In fact, I needed to go to “Following” tab at the bottom, searched for Los Angeles Times to find the outlet. Then, I had to “follow” the LA Times to have it featured on my feed. If you want to look for TechCrunch or The Skimm, the search function in the following is probably the fastest way. Does it make sense for popular news outlets to work with Apple? With regard to revenue sharing, Apple reportedly seeks to keep 50% of the revenue from Apple News+ subscriptions while the other half is shared between the partners based on how much time is spent on each partner’s content. Partnering with Apple will potentially give publishers exposure to at least millions of Apple device owners, for now before Apple may decide to make the service available on Android. Publishers hope that their quality content and free marketing boost by being presented at an Apple event will catapult their digital business. On the other hand, there is also a “I already subscribed to Apple News+” risk from existing subscribers. In other words, if a user can access the same content while paying $9.99/month, why would he or she pay $39/month for WSJ, as an example? Reportedly, even though publishers can’t have customer data, they will know what content is being read and can offer specific deals like newsletter. Plus, adhering to the new format championed by Apple requires an investment of time and effort. WSJ hires 50 more staff just for the partnership with Apple. For the LA Times, it is understandable why they accepted the risk. The paper has 150,000 digital subscribers as of 15th March 2019. Compared to the 3 million digital-only subscribers and 4 million in total boasted by New York Times, or 1.71 million by the WSJ, the number is meagre. Hence, I can see the upside can justify the cannibalization risk. The same sentiment can be argued for the magazines. I don’t have the numbers for magazines, but I can’t imagine that their digital business is as big as LA Times or WSJ. As for the WSJ, the math is more interesting. The WSJ has more to lose than the LA Times, but it is reported that users on Apple News + have access to only 3 days worth of archive. As an avid reader of the WSJ myself, it can be a challenge. I usually have to go back to articles even several weeks old for information. I guess that the management at the WSJ is betting that the avid readers will keep subscribing and the new revenue will flow in from extra consumption and new users. It would be so interesting to see 6 months or a year from now whether partnership with Apple truly brings net benefits to the currently participating publishers. If it does, it will put the publishers that opt out right now, in an awkward position. Continue to stay out and risk losing more digital business or opt in? I think the obvious winners here are the users. If you are an avid reader of even just a couple of magazines and news outlets, the deal is financially attractive. Some may argue that a normal user would never subscribe to that many publishers. Well, a normal Netflix user would never be able to consume all of their content library either. We are in the world of instant gratification and endless choice. I don’t see the difference here. Plus, you don’t have to worry about your data being collected by publishers as it would when you consume content on the web. Additionally, reading content in the new Apple News Format is a pleasant experience. I have an iPhone 5S and I liked what I saw. I can imagine the experience would be better on a bigger screen like newer iPhones and iPads. Finally, family members can use your subscriptions for free! At least for now! In short, I find the launch of Apple News exciting. If there is one company that can pull this off, I can’t think of another one, except Apple. It has 900 million installed iPhones and 1.4 billion devices, a dedicated fan base, a household name and control over the iOS. The upcoming months will be interesting as I can’t wait to see the impact the new service has on the partnering publishers and how the result will change the dynamic between Apple and the opted out publishers. How would a competing service on Android look? Hope we can have some more color on the service at the upcoming earning call by Apple. I wrote yesterday on Elizabeth Warren’s plan to break up yesterday. I thought that was that, but apparently she followed up with a call to break up Apple as she laid out in an interview with The Verge. You were very specific in how you’d break up Google and the rest. How would you break up Apple? Well, are they in competition with others who are developing the products? That’s the problem all the way through this, and it’s it’s what you have to keep looking for. If you run a platform where others come to sell, then you don’t get to sell your own items on the platform because you have two comparative advantages. One, you’ve sucked up information about every buyer and every seller before you’ve made a decision about what you’re going to to sell. And second, you have the capacity — because you run the platform — to prefer your product over anyone else’s product. It gives an enormous comparative advantage to the platform. Users love Apple products because of the combination of hardware and their exclusive software. What good is a phone without functioning and useful apps? Apple distributes apps on their devices through App Store and that’s why I don’t understand what she meant by “breaking it apart from App Store”. From a consumer standpoint, Apple leads all manufacturers in terms of customer satisfaction. If any of her plans were about protecting consumer interests, this one didn’t seem to fit the bill. The latest survey of U.S. consumers from 451 Research indicates customer satisfaction of 99% for iPhone XR, XS and XS Max combined. And among business buyers who plan to purchase smartphones in the March quarter 81% plan to purchase iPhones. Based on the latest information from Kantar, iPhone experienced a 90% customer loyalty rating for iPhone customers in the U.S. 23 points above the next highest brand measured. The most recent consumer survey from 451 Research measured a 94% customer satisfaction rating for iPad overall, with iPad Pro models scoring as high as 100%. Among business customers who plan to purchase tablets in the March quarter, 68% plan to purchase iPads. 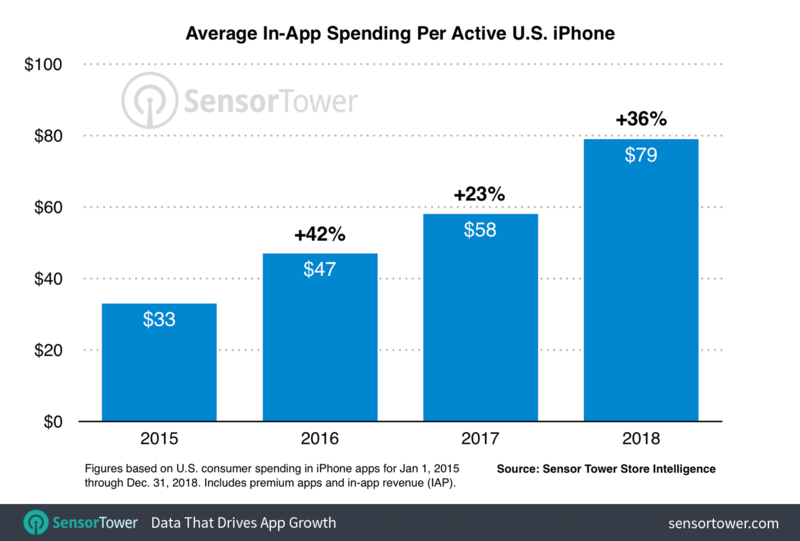 According to SensorTower, an average iPhone user spent more on apps in 2018 than they did in 2017. If Apple and AppStore are making consumers happy and bringing developers/app makers money, what exactly is the reason for breaking Apple apart from the AppStore, undermining the control over the ecosystem? Also, there is a difference between making money off user data and making money off products/services improved by the use of data analysis. If you can mine data to improve services and products, you must be a fool not to. Website administrators use Google Analytics to improve website performance. Netflix uses data to see what shows you may be interested in. Google uses your data to improve the search algorithm to make it more relevant and fast. What is wrong with all of that? I also fail to recall an instance where Apple released a certain product/service and abused its power to favor the product/service. In short, the interview with The Verge made me even more disappointed in her after yesterday, something I didn’t imagine would happen so fast. A friend of mine mentioned that she represented the left. I don’t think this has anything to do with the political ideologies. Understanding how these technology companies work has nothing to do with one’s political view. It’s concerning to have a Presidential candidate with that ill-informed hostility to the growth engine of the US economy. I have been on iOS12 since it was first released and much satisfied with this new version even though my phone is just an iPhone 5S. In addition to the speed and the UI, one feature that I am very happy with is Screen Time. Only does it allow users to keep track of how much time is spent every day on their phones, but it can break the time down into app categories such as productivity (emails) or social networking (Twitter, Facebook, Slack…). Moreover, users can put a time limit on each category and application’s usage. Once a limit is applied and reached, the categories or apps in questions are temporarily unavailable. It means that users have to manually remove the limits first in order to activate the apps again. I tend to apply Downtime from 7-10am to avoid distraction and maximize productivity (I let YouTube through to listen to work/focus music videos that are usually hours long on the app). In this Internet era, focus is a luxury. Everybody’s attention span is destroyed and distractions are everywhere. This feature, though reversible, helps us avoid that reliance on our phones and regain some productivity. I have always been a fan of Apple, but the admiration for the company grows every year. The company often draws criticisms such as lack of innovation, predatory practices and pricey products. While some of their practices such as expensive accessories or making features obsolete after only 2-3 years are good points (I am on my 3rd Mac charger that costs $85 more or less each), I wouldn’t do it any differently if I were in Apple’s management team. The same goes for high prices. If my company had such a degree of inelasticity (demand isn’t much affected despite higher prices), I’d do the same. Plus, Samsung increased the price of its flagship phone to $1,000 too but it hasn’t sold as well as its Apple counterpart. Granted, Apple is rarely the first to introduce stuff. They prioritize in doing it right and I like that approach. What’s the point of introducing new stuff if it doesn’t work well? Ask Samsung 7. Instead, innovation from Apple is the ability to deliver more performance and add more features to a small device year after year. Imagine the yearly tasks of coming up with the design of the hardware, getting it right so that customers are so happy, deciding on what features to add, manufacturing the chips, rewriting the software, integrating the hardware and software, planning the distribution, strategizing the line-up to avoid cannibalization…It sounds exceedingly complex and difficult to me. The result? They are the first American company to reach a trillion dollar market cap. Their average selling price for phones increased after the introduction of iPhone X. Revenue and profit keep rising. And customers are happy. I have a mid-2012 Mac and an iPhone 5S. They are still working well and I don’t imagine I’ll come back to Windows or Android any time soon. This morning, Apple did it again with a plethora of updates to their Watch and iPhone. A lot of new features and performance are added to small devices. Some enhanced products come at more or less the same price as last year’s new-then arrivals. I was impressed by the Apple Watch. It is now FDA-approved and can detect irregular heartbeats, ECG as well as falls. At this rate, I’d not be surprised in a 3-4 year time that their Watches will be instrumental to people’s health tracking and safety. I think Apple is a brilliant example of focus, product-centric design, strategy and execution.